Founded in 1998, Milestone Systems is a world-leading provider of true open platform IP video management software and future-proof security solutions. Milestone’s XProtect® products deliver powerful surveillance and security capability that is easy to manage and proven in thousands of customer installations around the world. The entire XProtect product series provides best-in-class solutions which reduce costs, optimize processes, protect people and assets. With headquarters in Brondby, Denmark, Milestone Systems is a fast-growing company with more than 600 employees, located in more than 20 offices around the world, including a fast-growing, multi-functional site in Sofia. Milestone offers you the chance to work for a global leader in a fast-paced environment with an international team and the opportunity to realize your full potential. Milestone and its open platform are poised for unlimited future, which provides exciting growth opportunity for variety of software industry roles! LEVI9 IT SERVICES is a 900-strong Dutch IT service provider with three Delivery Centers and six offices in Central and Eastern Europe. We collaborate with clients from an eclectic array of industries, ranging from digital marketing and sales, through transportation services, banking and ISVs to TV production. We are either involved in our clients’ core businesses, or directly support them. This level of involvement requires that we are responsible for choosing the right technologies and architectural solutions to fit the business. For 13 years of successful business we have worked with many worldwide known clients, such as Heineken, Hyundai, Adidas, Tom Tom, Xerox, Tele 2, Scania etc. 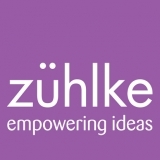 Zühlke brings ideas to market and helps companies achieve success across various industries. Our interdisciplinary teams are based in Germany, the UK, Austria, Serbia, Switzerland, Singapore and Bulgaria. Zühlke Serbia is positioned as the center of experience for distributed, agile software development. This year they are celebrating a 5 year anniversary since the opening of their Belgrade office and 50 years since the company opening in Switzerland. NOVOMATIC Lottery Solutions is a full solutions supplier for international lottery markets. We deliver games and services using modern technology that allows us to easily integrate with any 3rd party systems and games. The NLS system supports all sales channels simultaneously, creating a truly Omni-channel offering that increases lottery revenues and returns to good causes. NLS is a part of the NOVOMATIC Group of Companies, one of the largest integrated gaming groups worldwide with around 30,000 employees and activities in more than 75 countries. NLS’ headquarters is in Vienna, Austria and we have offices in Serbia, Spain and Iceland. We are an international team of passionate, creative and professional individuals who value teamwork and results over egos.